“The President and Secretary Haig have designated me as [their] personal emissary to discuss bilateral relations on an urgent basis. The original cover story for the assassination plot had been a meeting at the CIA with Vernon Walters, who was then deputy CIA director under CIA Director George H.W. Bush. Walters also had served as U.S. military attache to Brazil at the time of a right-wing military coup in 1964. The Reagan administration’s disingenuous report claimed that “conscientious human rights and church organizations,” including Amnesty International, had been duped by the communists and “may not fully appreciate that they are being utilized. The campaign’s object is simple: to deny the Guatemalan army the weapons and equipment needed from the U.S. to defeat the guerrillas. Reagan personally joined this P.R. campaign seeking to discredit human rights investigators and others who were reporting accurately on human rights crimes that the administration knew, all too well, were true. 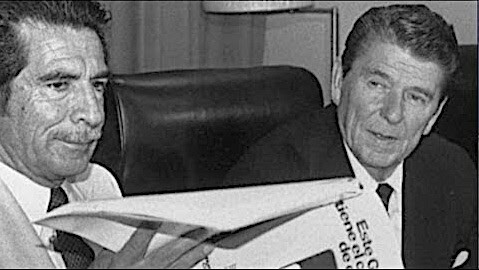 On Dec. 4, 1982, after meeting with Rios Montt, Reagan hailed the general as “totally dedicated to democracy” and added that Rios Montt’s government had been “getting a bum rap” on human rights. 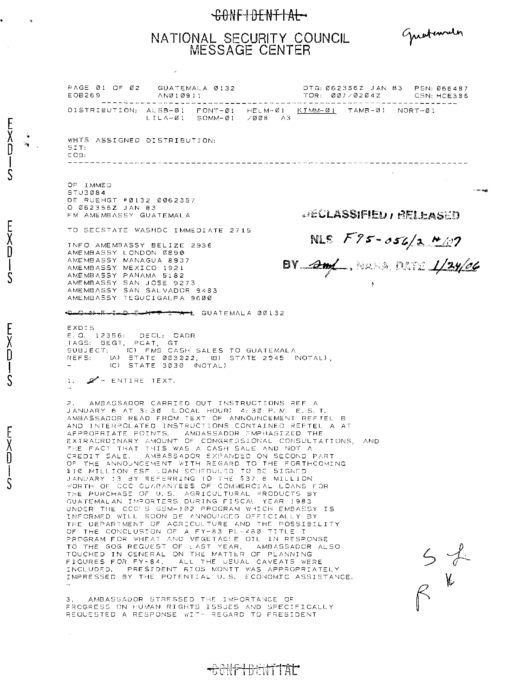 Reagan discounted the mounting reports of hundreds of Maya villages being eradicated. The Guatemalan military used the Pacific Ocean as another dumping spot for political victims, according to the DIA report. Bodies of insurgents tortured to death and of live prisoners marked for “disappearance” were loaded on planes that flown out over the ocean where the soldiers would shove the victims into the water. For human rights crimes in the Balkans and in Africa, the United States demanded international tribunals to arrest and to try violators and their political patrons for war crimes. In Iraq, President George W. Bush celebrated the trial and execution of Iraqi dictator Saddam Hussein for politically motivated killings. Rather than a debate about Reagan as a war criminal who assisted genocide, the former president is honored as a conservative icon with his name attached to Washington National Airport and scores of other public sites. MSNBC’s Chris Matthews has gushed over Reagan as “one of the all-time greats,” and Democrats (including Barack Obama) regularly praise Reagan in comparison to modern right-wing Republicans. When the U.S. news media does briefly acknowledge the barbarities of the 1980s in Central America, it is in the context of how those little countries are bravely facing up to their violent pasts. There is never any suggestion that the United States had a big hand in it and should follow suit. 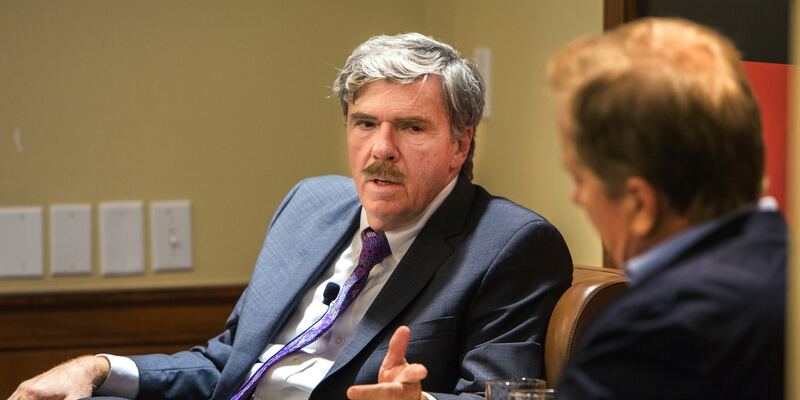 The late investigative reporter Robert Parry broke many of the Iran-Contra stories for The Associated Press and Newsweek in the 1980s. You can become a Consortium News member and receive a set of three books written by Parry. Great article, by the late great Robert Parry, just recently, on 27/01/18. And yet this most evil and hypocrite TERRORIST US-NATO/ISrael TERRORIST regimes, dare to preach to the world about human rights and democracy?! But they don’t care – and now they are trying to topple the great Left Venezuelan President Nicolas Maduro! An soon enough, Bolivia, Guyana, Cuba and Nicaragua too! The world, have been fooled indeed, by these savage ZioMasonic TERRORISTS NATO-EU/US/Israel-Soros – because all the endless savage Genocide in Latin America (consisting of Mexico-South America/Central America and the Caribbeans) – is mainly about conquering/robbing the URANIUM/THORIUM/LITHIUM/ORO BLANCO/IRIDIUM minerals-rich Latin America, especially in the Guiana-Shield (one of the three cratons of the South American Plate), the Amazon River System and Basin, the Andes Mountains and the Caribbean Sea, hence preventing the Left Governments of Latin America itself, Iran, Russia and China, or any other non-Western/Israel world, from having access to the Uranium/Thorium/Lithium/Oro Blanco/Iridium mining industry in any anti-NATO/anti-Israel Left-ruled Latin American countries (or anywhere for that matter), especially pro-Palestine or anti-US/NATO Venezuela, Bolivia, Nicaragua, Haiti and Cuba! This is in order to prevent any other countries, except NATO-EU/US/Israel, from building, fuelling, maintaining and possessing NUCLEAR WEAPONS/NUCLEAR ENERGY/SPACECRAFTS-SPACE STATIONS/AIRCRAFTS!! I mean to say, so sad that the late great Robert Parry, just died recently, on 27/01/18. Whilst Depopulating as many poor Indigenous Liberation Theology Catholic peoples in Latin America, as they can, in their savage genocidal ZioMasonic New World Order! Where’s that hypocrite ICC/UN? Whilst conquering also militarily, by NATO-EU/US/ISrael, the strategic maritimes routes such as the Caribbean Sea, The Panama Canal (an artificial waterway in Panama that cuts across the Isthmus of Panama, and connects the Atlantic Ocean with the Pacific Ocean), the Mona/Windward/Anegada Passages (the three Passages of the Caribbean, that connects the Caribbean Sea and the Atlantic Ocean, and as important shipping routes between the Atlantic Ocean and the Panama Canal), the Magellan Strait/Drake Passage/Beagle Channel (the three Passages around South America that connects the Pacific and Atlantic Oceans), the Gulf of Mexico, and the whole Atlantic Ocean and the Pacific Ocean (among the FIVE major Oceans with all their Seas/Straits/Passages/Canals/Gulfs/Isthmus/deep water Ports etc.). This is in order to transport the URANIUM/THORIUM/LITHIUM/ORO BLANCO/IRIDIUM mined or robbed illegally (including from the Sea/Ocean/Volcanoes/Mountain range/River) and also to carry their illegal Nuclear Weapon, freely but hiddenly, globally, with their ILLEGAL Nuclear Submarines (suspectedly, also to create man-made Tsunamis/Earthquakes/Floods/Volcanic Eruption etc. , through under the deep sea/under the earth/inside the Volcano Nuclear Bombing etc., or maybe the Nuclear explosion was actually from mining secretely and illegally, the Uranium/Thorium/Lithium/Oro Blanco/Iridium minerals, from the rocks/corals in the Sea/Ocean/Volcanoes/Mountain range/River) , another hidden MO for most evil ZioMasonic regime change and massive Depopulation agenda, especially in Muslim-Catholic nations! If you listen to both sides it’s impossible to find a decent human being on the planet! Of course we must remember that the one who conquers, always gets to write both the history as well as the current news. Americans understandably find it upsetting if not impossible to believe that ALL their leaders may be, and have been, as “crooked as Hilary”. Priorities determine perspective. Perspective determines objectives. The Great American Dream is to take unfair advantage of your fellow man. It is the popular story accepted by lazy minds that is formed by the victors. Not “history.” Actual written history is the endless hard work of innumerable hard working investigators who inevitably dig out the truth and publish it no matter who won. This is how you can easily read & learn that LeMay considered himself a war criminal for what he did in Japan, and that the Japanese attack on Pearl Harbor was not only brilliant military tactics, but both reasonable and deserved by the US. Both items are completely contrary to popular belief, but good readers know it anyway because it’s in written history. The problem of mistaking popular myth for history is increased when education in classics is in downturn (as we see today) in favor of job training and people are too busy working or entertaining themselves otherwise to read. There is nothing new in human behavior in the recent history of Central America that you could not learn reading extensively about the Roman Empire or the Middle Ages. It is human nature to take advantage of your fellow man, to paraphrase Eastwood: “Fair’s got nothing to do with it.” That’s why government exists at all; to protect us from each other. There is nothing remotely new about our ongoing war against the poor of the planet, our pillage, our torture, our genocidal “counter-insurgency” campaigns, our economic sanctions, our proxy killers, our war crimes, our bombs, our death squads, our lies, our looting, our corporate media dutifully repeating the CIA and State Department “official lies” justifying these crimes, over and over for each new generation of Americans. How else can the young ever be expected to come to see America as “the indispensable nation” as the “the exceptional nation” if not for these endless lies repeated over and over like a mantra, designed to ward off the reality of our absolute and total moral corruption and spiritual death. Just so everyone is on the same page of resent history up to the present, Wiki “neoconservatism” and a magazine called “Commentary”. That was certainly a comprehensive article and absolutely horrifying – our history in Central and South America is absolutely appalling. Now that master criminal Elliot Abrams has been appointed head of all things to do with Venezuela, I wonder if Parry wrote anything about this awful man? If so, can you give us a link or maybe post it so we can all see it and possibly forward it to our naive and uninformed friends and relatives (who think he must be a great guy)? 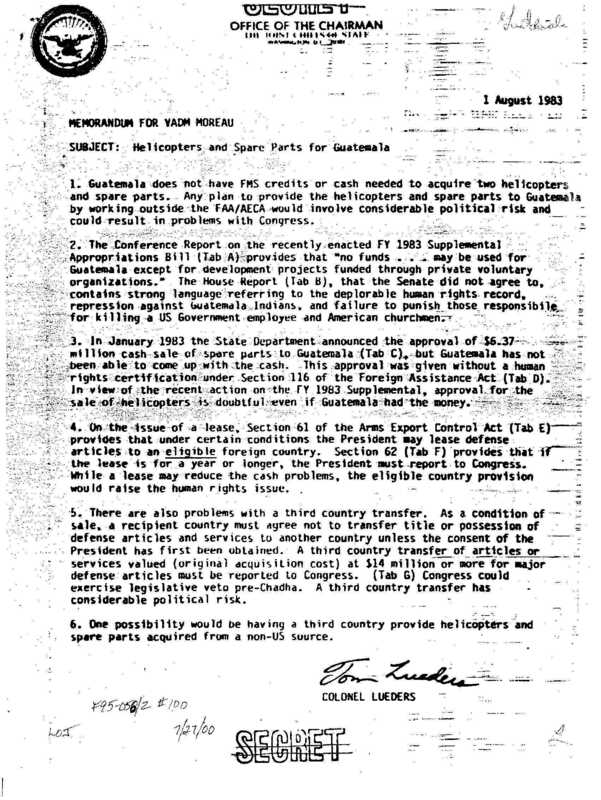 In Parry’s book, “Secrecy & Privilege”, he described the role Abrams played as an Assistant Secretary of State in denouncing the January 24, 1982 NYT article exposing the El Mozote massacre (U.S. trained culprits). Raymond Bonner, journalist, was recalled from Central America and soon resigned from the Times. (ps. 208-210). All American’s that don’t know of this history — especially they who give credence to Trumps’ Border Wall CLAMOR ought to tune in to the Reality that creates Migrant Caravans of Human Beings who’re actually Running For Their Very Lives. It’s no different than those Human Beings in Syria and other Middle East Conflict Zones who Risk Their Lives crossing the Mediterranean Sea in order to stay alive and find safe haven outside of MULTI-BILLION $$$ RESOURCE WARS waged by Militarily Protected MULTI-LATERAL CORPORATIONS. ! ! ! These innocent men, women and children, are NOT DRUG DEALERS AND RAPISTS !!! Weather Central American Indigenous, or Syrian Middle-Easterns or Palestinians or Western Saharans or Yemenis, THEY’RE ALL IN FLIGHT FOR SURVIVAL ! — ALL IN FLIGHT FOR THEIR VERY LIVES AND BEINGS !!!!!! Trump’s cruel and brutal gov’t shutdown, along with the brutally cruel separation/isolation of children/parents are silent screams of approaching authoritarianism. 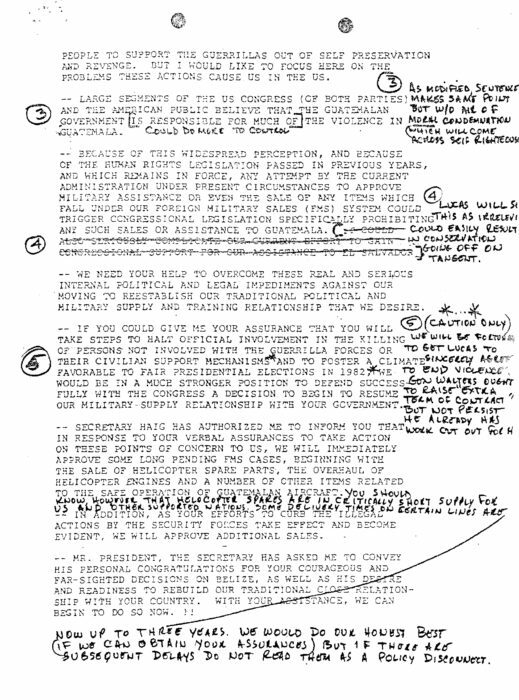 Can you keep up with the coup’s and gov’n overthrows that took place in South America before certain UN and “Southern Hemisphere Resolutions and Agreements” weren’t reached? 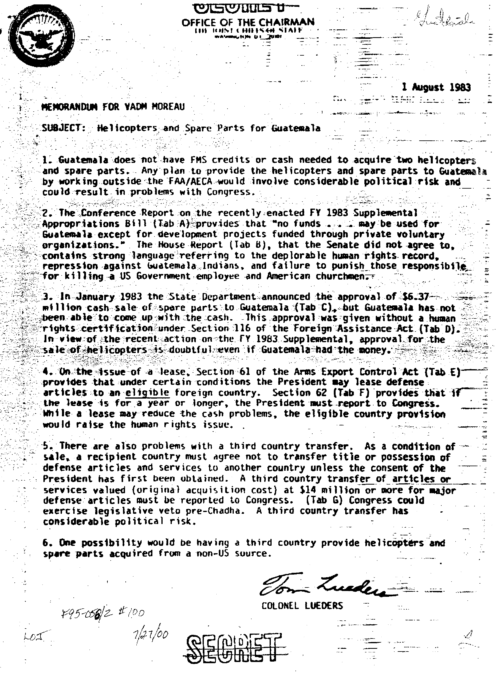 — What participation/acceptance in South American political agreements were Hammered into effect by the likes of George HW Bush in the 70’s & 80’s, including bombings and assignations of prominent South American gov’t officials … ? This Venezuela coup thing the US Govt. is trying to pull off – it’s like the new attitude is: to hell with this good guy democracy mask we’ve been wearing. It’s anachronistic, it’s stifling, nobody cares – anyway, we’ve figured out how to con and manipulate the Facebook morons. Of course, if you’re in Venezuela, hearing gunshots and automatic weapons going off, well, that’s just the price of “freedom”. A good expose of the false patriotism and false piety of the right wing of economic concentrations, whose lunatic narrative of foreign economic development as subversion has brought the US through three generations of atrocities of no benefit to anyone but our gangster plutocracy. Reagan was a low intelligence figurehead for the plutocracy, who plainly never learned the lessons of Cambodia, let alone those of prior wars. They would have gladly supported the genocides of the Armenians and the Jews if they had seen a profit in it. The same man who said this? You must be living in a different world then. That alone destroys the pack of lies you listed. Ole 666 was a closet Aztec killer, deep inside, and like most draft dodgers scampered around his bedroon (He and Nancy dressed as Aztec cut-throats – stone knives and everything) hooping and hollaring in their loin cloths wondering why they were born 500 years too late. At the ‘El Mosote massacre (600 innocent indigenious women and children received over 16,000 US’ M-16 rounds, this was proved by the Clinton ‘truth commissions’ investgations) in the hands of war criminal Jews Elliot Abrams and John Negroponte (666’s most loyal war criminals) . and Nazi-istic force of humanistic power. You would do well to improve your sarcasm if only so that people don’t take you for limited, blind, and naive.